Whether you’re moored in the Med or cruising the Caribbean, if there’s one thing all superyacht owners have in common it’s the need to tackle insect bites while on board. To help you out we took for of the best insect repellents on the market to the Loro Piana Caribbean Superyacht Regatta and Rendezvous to put them through their paces – click through to see how they fared. 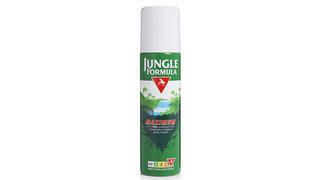 USP: Possibly the bets known insect repellent brand on the market, Jungle Formula’s maximum strength spray contains 50% DEET and is endorsed by the Hospital of Tropical Diseases. What we say: Jungle Formula’s high-protection version came in a compact aerosol spray can which was really easy to apply and small enough to carry around all day. Applied first thing in the morning and then again in the evening, it kept all but two bites at bay – impressive for a five day stay in a notorious mosquito hotspot. USP: Promising effective protection from biting insects without the use of artificial chemicals, Mrs White’s Unstung Hero offers four hour coverage with a pleasant, fresh fragrance. What we say: We loved this for its beautiful, luxurious look and lovely smell. Branded as a lemon tea Eau de Cologne, the light fragrance was pleasant enough to replace perfume and worlds away from the chemical smell of other insect repellents. Reapplying every few hours with the large glass bottle isn’t ideal for those on the move but the brand has just released a 100ml metal travel size perfect for handbags. 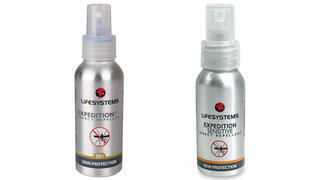 USP: Formulated to withstand even the most bug-friendly climates, Lifesystems Expedition Plus contains 50% DEET and offers 10 hour protection. The Sensitive version is a DEET-free 20% Saltidin formula for eight hour coverage. What we say: The Lifesystems packaging suggested this was an insect repellent that wasn’t taking any prisoners and we were incredibly impressed with its effectiveness. Our tester – who is usually a magnet for mosquito bites – suffered from just one during the trip. The Sensitive version is perfect for children and both ranges come in small, tough bottles with no noticeably unpleasant smell. 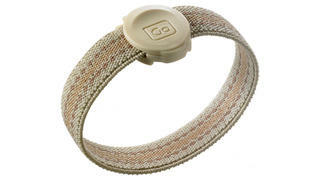 USP: These discreet bands are micro-encapsulated with DEET insect repellent that is slowly released to form a protective ‘halo’ around the wearer for up to 100 hours. What we say: While perhaps not ideal for pairing with your evening party looks, these wristbands are perfect for day and bedtime wear – particularly if you are not a fan of traditional insect repellents. Available in almond and grey, they contain enough repellent to last for an entire two week vacation and are so comfortable you’ll barely notice you’re wearing them.